101 Magic Tricks is an easy and simple book to show magic. This book contains many card and other simple magic tricks. He wrote about a thousand four-line verses or rubaiyat. Edward FitzGerald translated his poems from Persian to English and named the book as "Rubaiyat of Omar Khayyam". The bangla book "Rubaiyat" is a translation from the book of Edward FitzGerald. Arjun is a teenage detective character created by Samaresh Majumdar. Samaresh Majumdar is a popular Indian Bengali writer. He wrote many books for young people. Detective Arjun series is one of them. Prachin Shovvota Series (প্রাচীন সভ্যতা সিরিজ ) is a series of eight books written about ancient civilizations. This book is about the ancient rome civilization. Star Wars is a Bengali science fiction book written by Rakib Hasan. Rakib Hasan is the writer of childrens detective book series Tin Goenda. Star Wars is written based on foreign stories (বিদেশী কাহিনী অবলম্বনে). Bermuda Triangle (বারমুডা ট্রায়াঙ্গল) is an informative book about the mysterious place Bermuda Triangle. 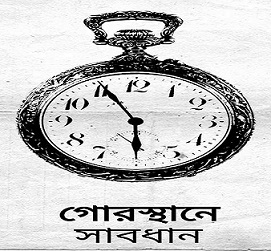 It is written by Shamsuddin Nawab (শামসুদ্দিন নওয়াব). Amphibian Man is a science fiction book written by Alexander Belyaev. Alexander Belyaev is a science fiction writer from Soviet Russia (1884-1942). His best known works are: Professor Dowell's Head, Amphibian Man, Ariel and The Air Seller. Kiriti Roy is an intelligent person with good appearence. He is somewhat like Sherlock Holmes in his appearence. His height is 6 feet 2 inches. He wears overcoat and cap. He also smokes pipe like Holmes. Pandab Goenda is based on five children who love solving mysteries. They are Bablu, Bilu, Bhombol, and two sisters named Bachchu, Bichchu. Pandab Goenda's main characters are inspired by Enid Blyton's famous detective book "The Famous Five". Bonkubabur Bondhu is a science fiction short story written by Satyajit Ray. It is one of those stories that made science fiction famous in Bengali literature.